So Pretty! Kelly Style Bag by Dover, USA. 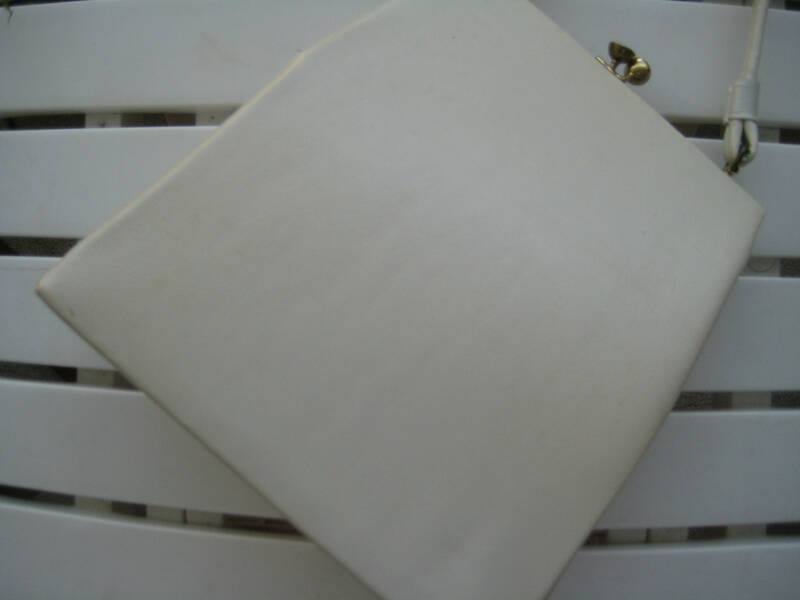 Classic stand-up pocketbook with an off-white faux leather body by Dover USA. Gathered on the front side as shown. Gold tone metal frame and kiss lock in good shape with patina. 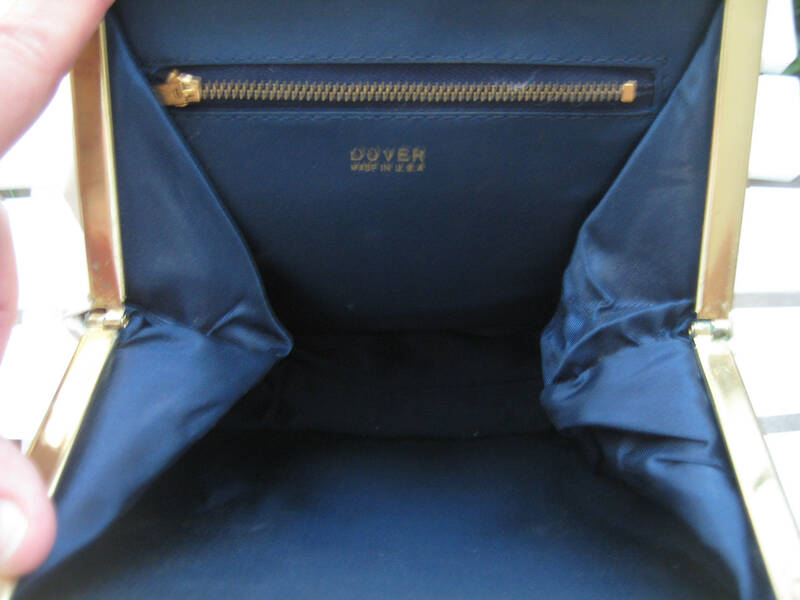 Pretty blue satin inner lining, with a side 5" metal zipper pocket. Embossed maker's label inside. 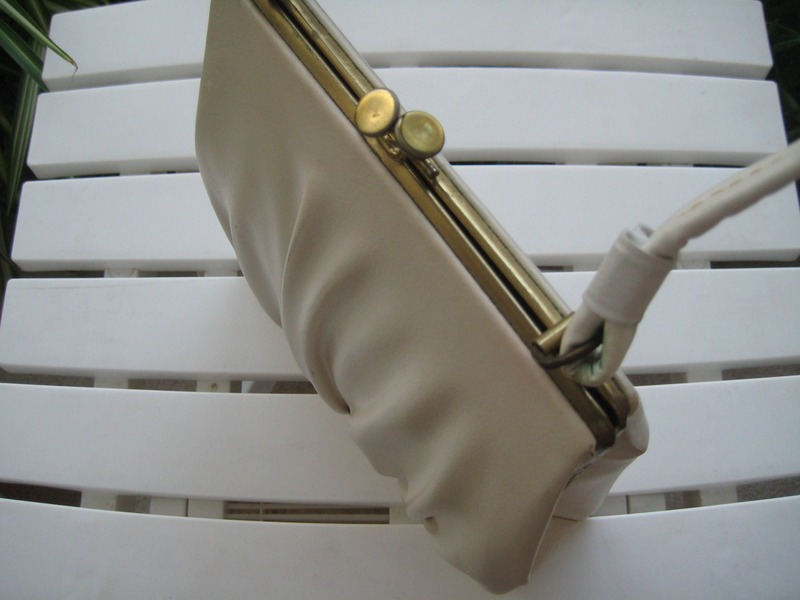 Roomy bag that measures 9 inches high x 8.5 inches long with a 6 inches drop on the handle. Bottom width is 2.5 inches. There are few light metal color marks on the pleats and light stain on the bottom, hence the special deal. 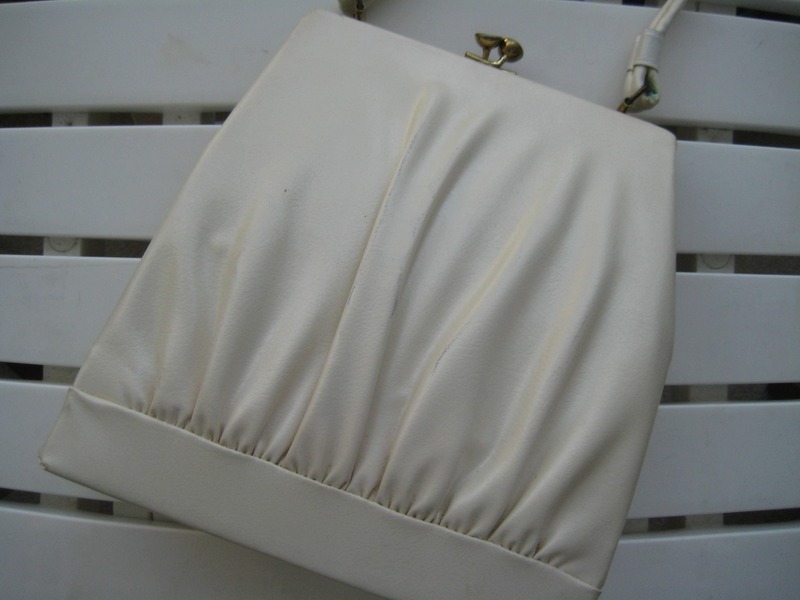 But, the bag is in great shape otherwise and a classic style!